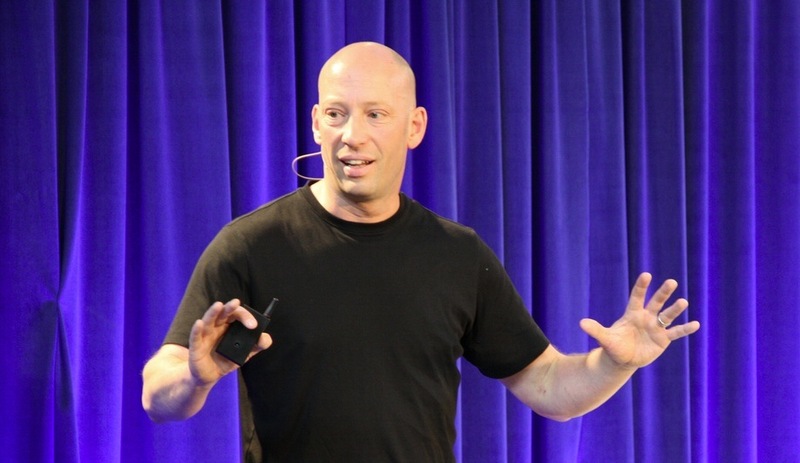 IDEO partner David Webster will deliver the Get Better! forum's keynote address. 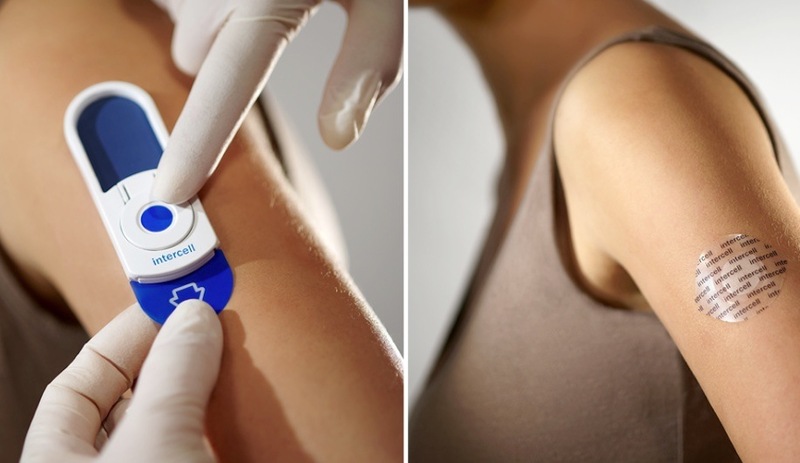 IDEO helped design Intercell's needle-free vaccine delivery system. Photo by Andi Bruckner. 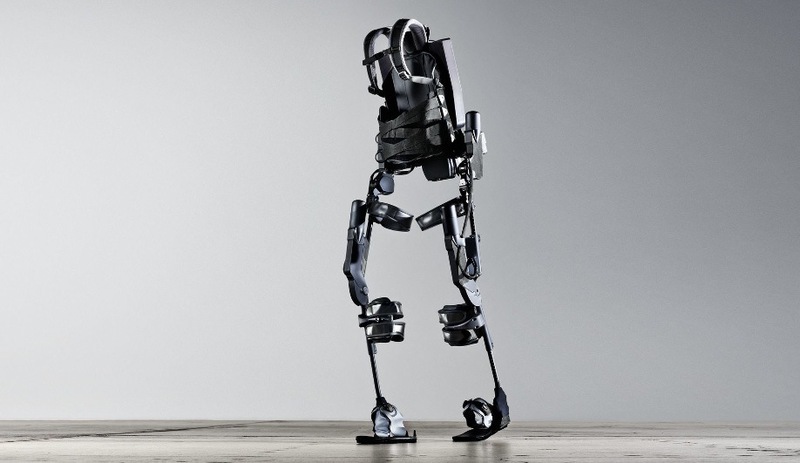 Among IDEO's many collaborations is an exoskeleton system, designed with Ekso Bionics, which can help the paralyzed to stand and walk. Photo courtesy Ekso Bionics. 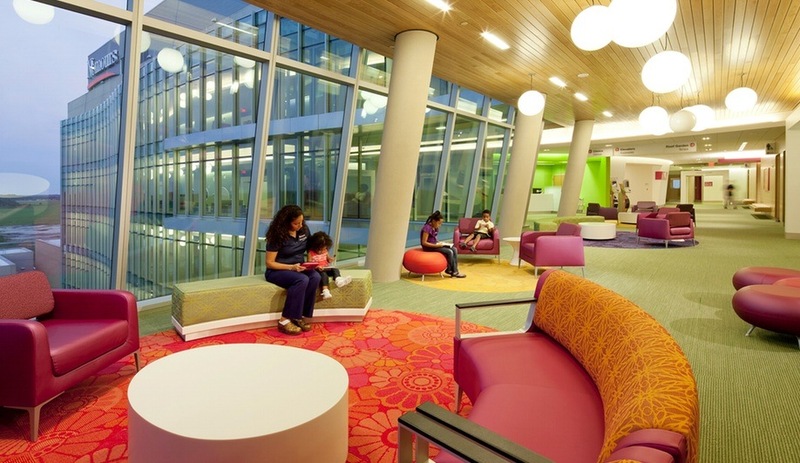 For Nemours children's hospital in Orlando, IDEO redesigned systems to improve patients' choices and access to care information, and create a patient-centric experience. Opening September 24th, before IIDEX officially kicks off on September 26th, the show’s Get Better! 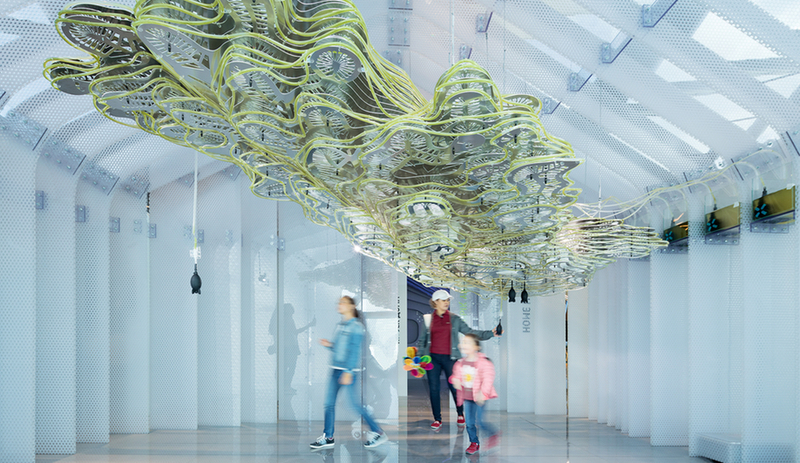 conference dedicated to healthcare design will offer three days of compelling talks. Focused on creating better healthcare settings, and at a lower cost, the event addresses issues crucial to the design and operation of hospitals and rehab, community health and long-term care facilities. 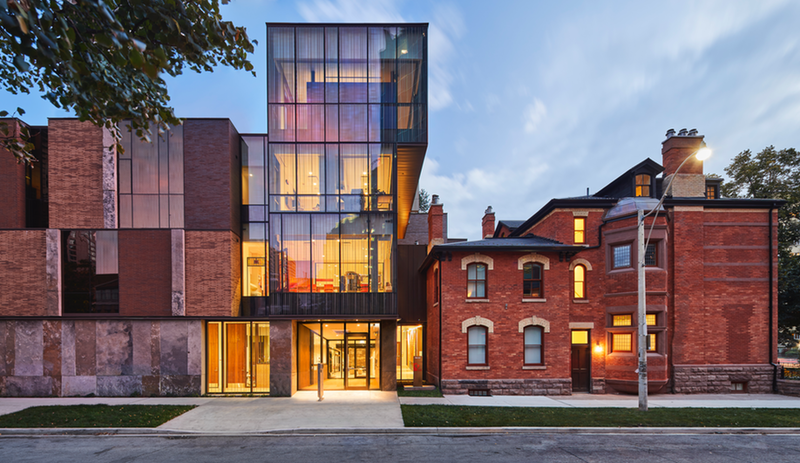 It also offers tours of state-of-the-art facilities in Toronto, including the recently completed Bridgepoint hospital (featured in our October issue) and Centre for Addiction and Mental Health. Its seminars also speak to virtually every facet of designing for healthcare. The international lineup of speakers includes doctors – for example, Dr. Jan Del Rue of Belgium’s Meditex, on conducting evidence-based evaluation of hospital design; and Dr. Kazuhiko Okamoto, from the University of Tokyo, on the feasibility of mobile hospitals – as well as design firms. Visionscapes Landscape Architects and Mary Jane Lovering Vertechs Design will stress the importance of landscapes to the healing process. On September 26, David Webster of IDEO, a multidisciplinary design studio that has conceived a range of medical equipment for both personal and professional use, as well as educational campaigns for healthcare, will deliver the conference’s keynote address. AZURE had the opportunity to talk to Webster about IDEO’s approach to healthcare design and what to expect during the crucial years ahead. AZURE: Can you describe some of the healthcare projects you’ve worked on as a partner at IDEO? David Webster: We work on a broad gamut of projects in the health sector, everything from medical devices and diagnostic equipment to surgical tools. Some recent greats include the spine surgery tools we did for Medtronic and a drug delivery system for the likes of insulin and human growth hormone. One that we’re very excited about, which we did a couple years back, is a needle-free vaccine delivery. Increasingly we do a lot of work on the system side of health as well; we’ve worked with groups like Kaiser and the Mayo Clinic to help them figure out how to become more innovative organizations. I’m really excited about the game-changing technology coming out of the health sector. We did a project last year with a local Bay Area startup called Ekso Bionics, helping them evolve an exoskeleton that literally enables paralyzed people to stand up and walk, which is just the most amazing thing to have the opportunity to work on. AZ: What are the areas we should be looking at now, to address the problems we’re going to see growing in the future? DW: Precision medicine offers an immense set of opportunities, and immense potential for evolution in the way care happens, by starting with information provided by genome science, which has all sorts of implications for the accuracy and efficiency of care. Another thing that’s incredibly relevant to precision medicine is looking at patients before they even become patients – people, normal people! – and being able to capture and track and pattern-recognize body data, which can be measured by devices in and on the body, and activated as data streams in the cloud. The power of that, when it comes to precisely characterizing and treating conditions – I think that’s the huge immediate opportunity right in front of us. It has the potential to change everything in a really positive way. AZ: This combination of both a physical device with a designed system seems to be a focal point of IDEO’s work. Can you talk a little bit about the relationship between devices and the systems in place for addressing healthcare issues? DW: It’s funny, it’s almost as if healthcare is ready to catch up with other sectors in that regard. If you look at most of the devices that we interact with, they’re usually a window to a broader experience. We increasingly find ourselves designing experiences that are the net result of a bunch of encounters with different aspects of a system, and one of those aspects could be your experience of using a device. There’s a lot of expectation and opportunity for those dots to be connected in the context of health. AZ: IDEO has collaborated with The Bill and Melinda Gates Foundation, Unilever, and with Jamie Oliver for educational campaigns on the subject of nutrition. What do you find most effective about working in collaboration with other organizations? DW: The realization that everybody can be activated creatively is satisfying as well as effective. We often encounter, when we’re working with these kinds of organizations, people who may have at some point in their lives had to teach themselves out of being creative. And we believe that the best possible design outcome is achieved by engaging the stakeholders who will eventually have to live with it – either the people who will be the recipients of the experience we’re designing or the people who will be involved in delivering it. We’ve been talking a lot about this notion of “creative confidence” – David Kelley, the founder of IDEO, is on a mission to propagate the idea of creative confidence. It’s an acknowledgement that everybody has the right to be creative. AZ: What are some of the strategies that you can use to bestow this creative confidence? DW: We often use workshops to allow the stakeholders to experience what it feels like to design. To create. That can be something that feels quite alien to them, and that can be one of the challenges. The currency of the health sector is high-stakes by its nature, and you’ve got incredibly noble, driven, smart people working very, very hard. They’re usually intrinsically motivated to try and do the right thing, which creates an environment where it’s not the easiest thing to get people to forget their credentials, loosen up and optimistically generate some ideas secure in the knowledge that it’s OK if they don’t get it right the first time. So one of the most powerful things that we’ll do is we’ll take participants off-site. We might even give them a completely unrelated or analogous topic to work on, and allow them – under those safe conditions, where reputations are not at stake, and people are less worried about how their peers perceive them – to experience what it’s like to create. AZ: There’s a lot of talk about the stress that will be placed on the healthcare system in the coming years, with our longer lifespans. We want to encourage people to have healthier, longer lives, but in doing so, we’re also placing more people into the system. 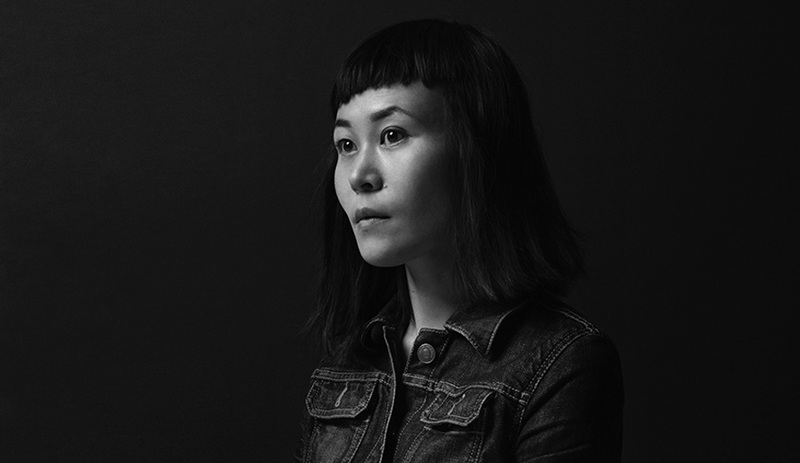 How does IDEO’s human-centred approach speak to that contradiction? DW: That question points directly to something that we believe. The system is going to continue to be beleaguered and to be stressed, and by its nature, it’s immensely complex. The healthcare system is complex at the level of the economy. In fact, the health system is rapidly becoming the economy. It’s very easy to spend all your energy just attempting to describe all the interconnected parameters and relationships within that, to the extent that you don’t have any energy left to progress it. We believe that there’s an alternative approach. Rather than trying to grok all that complexity and come up with a unified theory of everything, you can look at one aspect of it, something as simple as one patient or user’s experience. What are the rudimentary things you can do to make that experience more human for that person? To give them less anxiety, to give them more dignity? Within the healthcare system there’s always something that you can do. Our belief is that in doing that, the benefits can ripple back into this big complex system, and cause it to incrementally evolve in the right direction. AZ: The Get Better! conference at IIDEX is devoted specifically to design in healthcare. What is the importance of hosting conferences such as this one? DW: The importance cannot be overstated, actually. It’s the defining design challenge of our time, to be frank. Healthcare is absolutely pervasive, it’s in everybody’s life, and it’s clearly becoming less and less viable to continue with most of the existing constructs. That increased need for change is happening just at the moment where a bunch of game-changing technologies are becoming real. And so it’s kind of the dream design brief: the means of coming up with something new are there, just when absolutely everyone needs something new to happen. It’s the most amazing opportunity – kind of like the juiciest, most incredible design brief in history. It’s really important that people who are excited about it get together and mind-meld.